But, as with many things, our general perception doesn’t encapsulate the entire truth. I did a bit of research on historical knights so I’d know what they were and could borrow from reality and legend to create the knights in my own work. In reality, a knight was usually a mounted soldier serving under a feudal lord in Europe. The concept of what a knight was would come to mean men, usually of noble birth (but not required), who would be apprenticed as first a page and then a squire. During this apprenticeship, they were taught all of the skills necessary to be a skilled fighter, as well as religion, reading and writing, and social decorum. They’d then be given the military rank of knight and be bound to the code of chivalry. 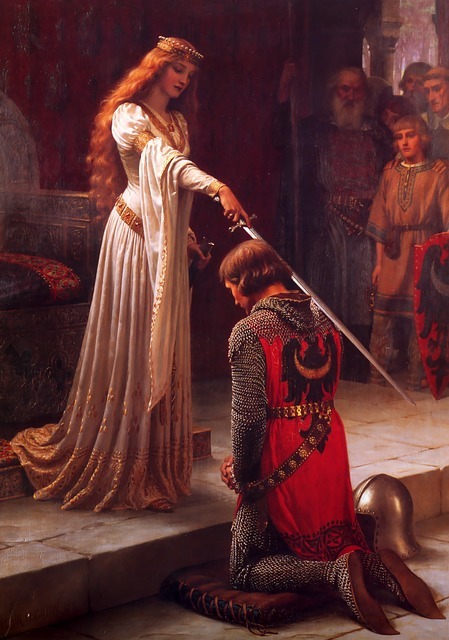 This code of chivalry was enacted partially to control behavior. Because history has taught us how well behaved soldiers can be. 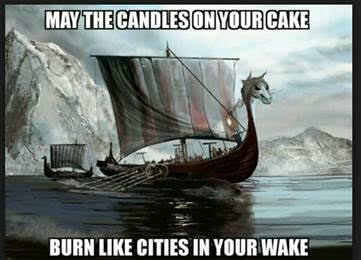 See also, Vikings. They’d terrorized much of Europe, so yeah, chivalry had its reasons. Unlike many other titles (duke, baron, etc. ), knighthood was not hereditary. It was given to a person by a sovereign because of personal merit or service. This means that it was easier for men who were good at being soldiers to move up in rank. It also meant you never had a six-year-old knight. Unlike some kings. And helped reduce the crazy, unlike in kings. Knights were an important part of feudal system established by Charlemagne. Under this system, the king owned all of the land, and he granted fiefs to various lords in return for loyalty, protection and service. In order to provide this protection, the knight class was created. Many knights were professional warriors, and the lord they served paid them for the services, and provided food, lodging, armor, weapons and horses. Knighthood was a way for a man to advance in a society that offered few other means. As it also wasn’t an inherited position, it was a way for a younger son of a lord to advance himself. Knights could make fortunes from their service, and they could be granted land from the king and become a lord in their own right. While many of us think of Knights of the Round Table when we think of knights. 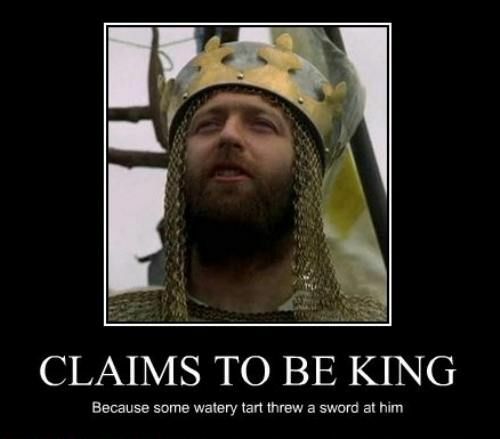 Okay, maybe not this King Arthur. In reality, knights were experienced mounted soldiers. They were also supposed to have a firm grounding in religion, among other things, but the reality was knights were about as religious as any other general order of soldiers. Stories of knights have been told for a very long time. I think it somewhat relates to the legends of King Arthur, but I also think seeing men riding in armor on horseback left a strong impression. It was story worthy. How about you? What do you think of when you think of knights? Maybe Sir Lancelot or Sir Galahad from King Arthur’s court? Ser Bronn from Game of Thrones? Sir El Cid of Spain? Or maybe you think of something all together different? The Knights of Valor are a prominent part of my fantasy romance novels. Why? Because I like the good boy, the knight in shining armor, so to speak. While I don’t feel the need to be rescued, thank you very much, I’ve always been drawn to the white knight. While the Knights in my stories live by a moral code directly tied to the god they serve, that code wasn’t created in a vacuum. I’ve never listed the code these Knights follow, because that wouldn’t exactly keep the story moving in my novels, but their code is very much based on historical precedent. Real knights in the days of yore had a code of chivalry that they were supposed to follow. How many did, well, that’s another post. The punishments for not following it, again another post. While many parts of our past are lost to us, The Song of Rolland documented the code of chivalry during the time of William the Conqueror, around 1066 AD. Sounds a lot like what we’ve come to expect from knights that followed the code of chivalry. A few of these seem redundant to me, and a few seem too bravado for my Knights of Valor, but I did think through all of them as I was creating my own code. The speak the truth at all times gives my Knights of Valor a great deal of trouble, and from time to time, they may have even had to interpret that a little creatively. In my fantasy world, being chosen by the God of Justice to be one of his Knights and following the code of chivalry imbues certain holy powers, including the ability to channel the god’s power to smite evil. But that’s fantasy. I could see how some of this code could really hamper a medieval knight. 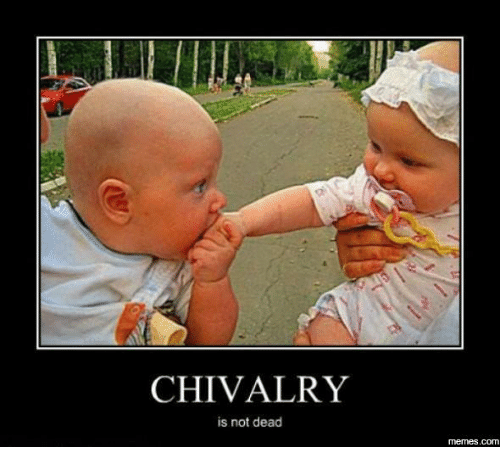 There are other codes of chivalry, including the one espoused by the Duke of Burgundy in the 14th century, but it’s not really all that different from the list above. The code from King Arthur’s court is perhaps the most famous, though much of this is shrouded in legend. The lack of solid facts makes it fun to write about, but more subject to interpretation. More interesting to my mind is that such a code had to be written. That many things which seem like basic values had to be spelled out. But then, it was another time and Dracor, God of Justice, has not always reigned supreme in human history. How about you? What do you think of knights and codes of chivalry? Ever see any in a book you especially liked? Or maybe you think the whole thing was bunk and prefer the knight that follows no code?